Uber continues to aim for the sky. The tech company has partnered with NASA to help it develop air traffic management systems for its flying taxi initiatives, chief product officer Jeff Holden said on Wednesday. Holden made the announcement at Web Summit, a technology conference in Lisbon. 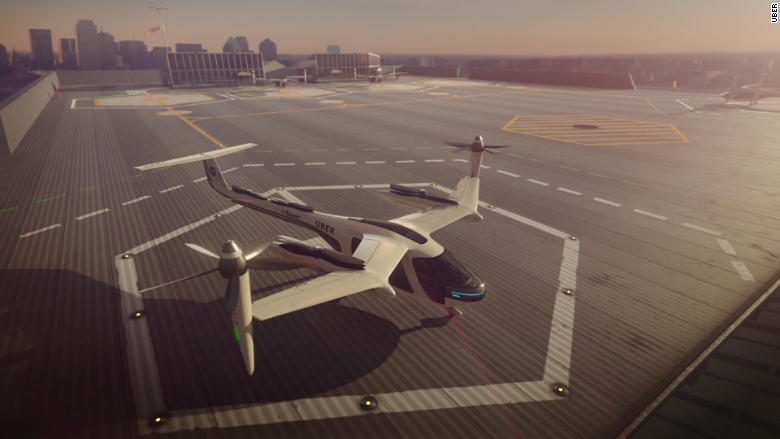 In April, Uber unveiled its plans to introduce flying taxi fleets, known as uberAIR. The four-person ridesharing flights won't become a reality anytime soon but Holden said there are plans for demos coming to Los Angeles in 2020. Uber previously announced cities Dallas, Texas and Dubai as other partner cities. The tech firm has agreements to work with other aviation companies, but this is the first time it has formally partnered with a federal U.S. agency. Uber's partnership is part of NASA's Space Act Agreement, a consortium of industry players working to ensure "safe and efficient operations" of its taxis and other small unmanned aerial systems flying at low altitudes. 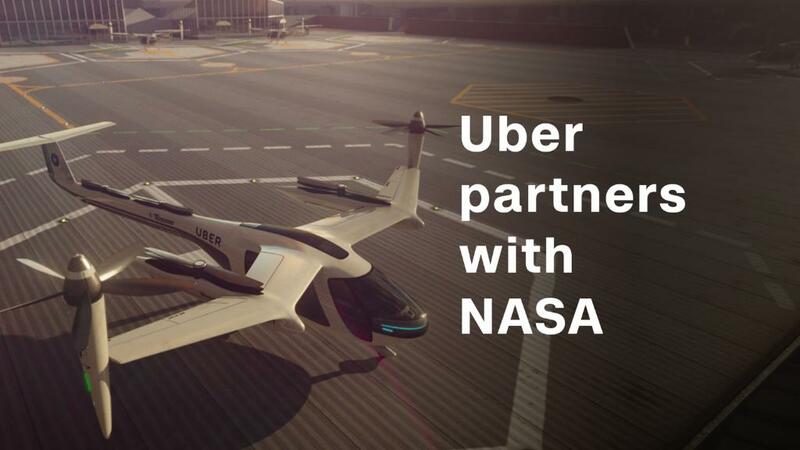 "These are exactly the kind of partners we need to make uberAIR a reality," Holden said of NASA. A NASA spokesman said Wednesday the agency will help create a framework for the air traffic management of drones. This will help pave the way for air vehicles carrying passengers, such as uberAIR. In 2019, the recommendations developed by NASA and its partners will be shared with the Federal Aviation Administration, which will determine how they should be integrated into existing air traffic systems. Known for its unmanageable traffic, Los Angeles will make for an interesting test bed for the flying vehicles. To get a sense, Uber projects that trips from the Los Angeles airport to the Staples Center during rush hour will take less than 30 minutes -- down from 1 hour 20 minutes by car. It expects to offer rides in the flying taxis for prices comparable to its UberX service. The goal is to make transportation fast, and inexpensive -- and it hopes the service will be ready for commercial operations "several years ahead" of the 2028 Olympics in Los Angeles. Updated: This story was updated to add more details about NASA's involvement in the project.